The image of your business is extremely important, especially if you are trying to build a client base and generate a sustainable income. However, your business place can get messy extremely quickly. Cleaning can take a long time and may seem like an unproductive task – it doesn’t directly generate any income. Although you may have a warehouse sweeper as part of your cleaning arsenal, many conventional sweepers are very inefficient when it comes to removing fine dust or large bits of rubbish. Why should you invest in a warehouse sweeper? When you invest in a Alphaclean warehouse floor sweepers, you can rest easy with the knowledge that you will achieve an efficient, thorough clean on time, every time. Every Alphaclean sweeping machine is designed around the innovative new TRS technology. 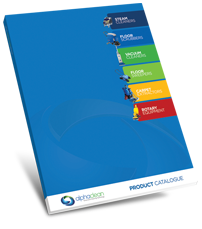 The use of this technology is what makes us one of the leading sweeper suppliers in Australia. This TRS technology was recently created by world class German engineers. Over the past few years it has been proven to be extremely effective and efficient in keeping workplaces neat and tidy. Although many different innovations have been developed over the years to improve the efficiency of conventional sweepers, none have reached the heights of the TRS technology. Alphaclean’s TRS technology takes aspects from a range of design innovations and puts them together to create the ultimate cleaning machine. One of the most innovative ideas was to include a rear mounted hopper in place of the more traditional front mounted one. This helped to reduce blockages in the machine and increased the efficiency of use. Two rollerbrushes are used, rotating in opposite directions. This causes dirt and debris to be effectively trapped in the rear hopper – it has nowhere else to go. Visit Alphaclean to discover more about our innovative TRS technology. You can compare this technology to that of traditional sweepers thanks to our informational videos. The benefits of TRS will be apparent almost immediately, and you will soon see the immense benefits which come with investing in Alphaclean products. When you use a warehouse sweeper from Alphaclean you will be able to complete your workplace cleaning in a much quicker time. Instead of cleaning being a laborious, boring task which yields few results, Alphaclean will make sure that you are left with a workspace that even the fussiest person would be proud of.